Here is a copy of the June 2015 edition of Agr I nsurance by Betsy Harms. Categories: AgrInsurance | Tags: Agrinsurance | Permalink. See the Agr I nsurance below by clicking the links below. 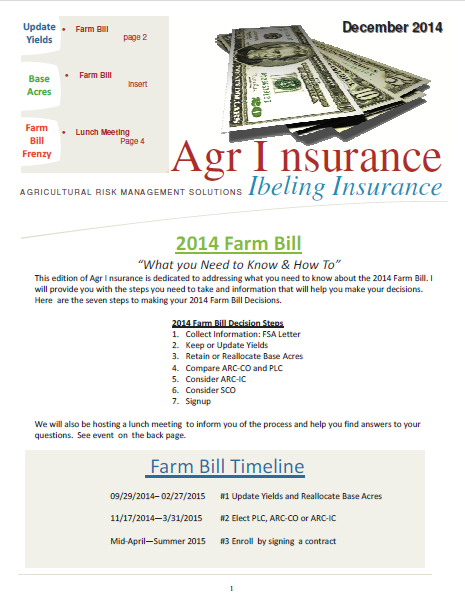 Categories: AgrInsurance, Farm Bill | Tags: Farm Bill | Permalink.